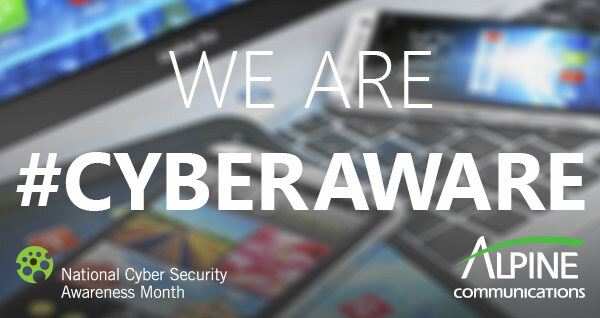 As an NCSAM Champion, Alpine Communications has pledged to get out the word about Cyber Security Awareness in the month of October. It is important for you to stay vigilant about cyber security. Online safety is our shared responsibility and it starts with STOP. THINK. CONNECT. We are here to help you protect your devices and to stay secure online. Visit our Tech Home page or call 563-245-4000 to learn about fully-supported anti-virus service from Alpine Communications.